Tasks are seamlessly integrated across Sortio, making it easy to add, share, organise, find and accomplish them. Sortio makes it easy to add new tasks. 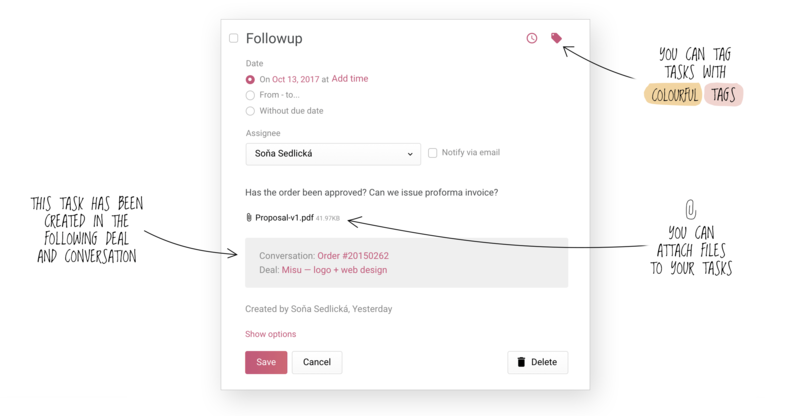 Adding a task couldn’t be easier — just click the "Add task" button you'll find throughout Sortio. You can create a task from within a contact, conversation, note, deal or a project. Sortio extends a typical task manager. 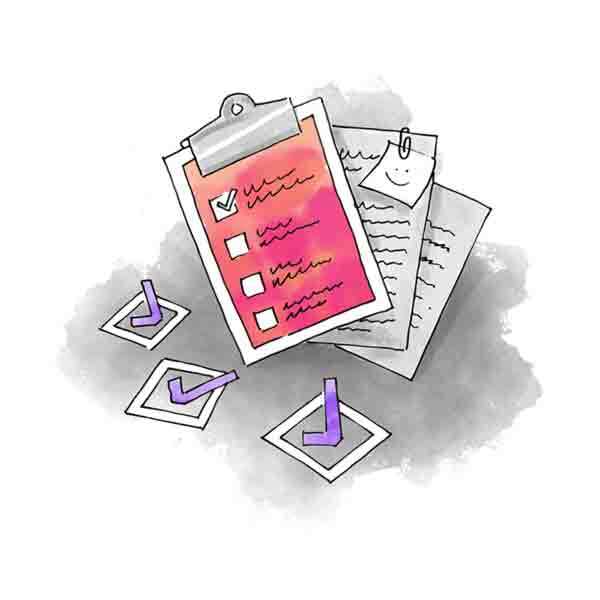 Every task is interlinked with the related contact, conversation, deal, project or note, so when you're ready to accomplish the task, you'll have all the details you need. Every day, Sortio will send you an email with the list of upcoming tasks. Additionally, if you have a favourite calendar, you can subscribe to a task feed that works with Apple Calendar, Google Calendar, Outlook and all other apps that support the ICS format. Sortio knows how much time you spent on each task. When checking the task off, you can track how much time you've spent. Your time will be added to your timesheet and if the task has been part of a project, it will increment project totals, too. Sortio gives you control over your tasks. You can control who can see each of your tasks. You can make them private, shared with some of your teammates or available to everyone in your company. However, power users will always have full access to all of the tasks, no matter if they are private or not. Sortio lets you seamlessly switch task lists. As a power user with full access, you can switch between your teammates' task lists seamlessly. This is super useful for project managers who need to schedule work for their teams. But wait, there's more! Sortio has other cool tools and features. Join and see for yourself.